The RAHS School-Based Health Centers care about the health of youth in Washtenaw and Genesee County – and access to medical insurance is part of that! All RAHS services are available to patients regardless of ability to pay; however, we want to ensure your child is able to access medical care with their primary care provider by having medical insurance. The RAHS School-Based Health Centers are here to help you and your family get medical insurance. We are trained to assist you in completing the MI Bridges application. This application allows you to apply for multiple resources, including food, medical, child care, utility, and cash assistance at the same time. If you have internet access, you can apply online at: www.mibridges.michigan.gov. Need assistance applying for Medicaid/Healthy Michigan Plan? Contact us to schedule an appointment. Appointments can be scheduled at all RAHS Health Centers from 8:00am - 3:30pm, Monday-Thursday. 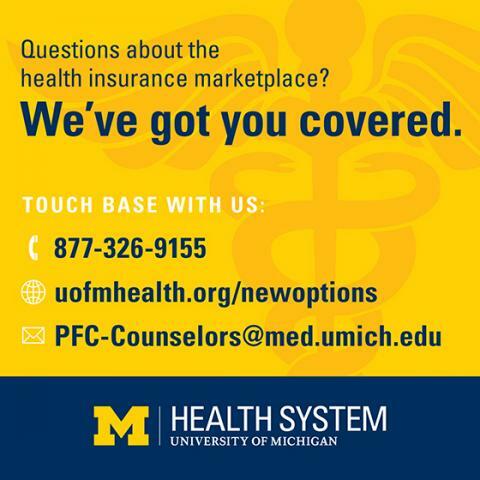 If you would like help signing up for insurance on the Marketplace, please call the UMHS Patient Financial Counselors for help at (877) 326-9155 between 8 a.m. and 8 p.m. Monday-Friday to schedule an appointment or have your questions answered. You may also email them for assistance.